It was a Friday and I just woke up. I saw Maricel (Iya’s yaya) and asked her what will be the topic of Iya’s science exam tomorrow. I was still on vacation leave so I was thinking of reviewing her on her exams. I was really confident that I can teach her whatever it is even when I’m asleep. What could nursery students be doing nowadays? Probably shapes, letters, colors, or some animals that I can quiz her on. 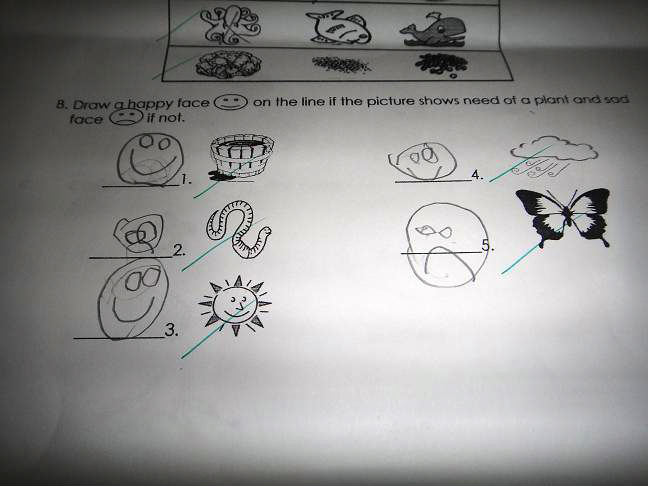 Maricel: Ate, parts of the flower po, tapos parts of the leaves, parts of the roots, needs of the plant. Me: Ano?! Alam ba ni Iya yang mga yan? 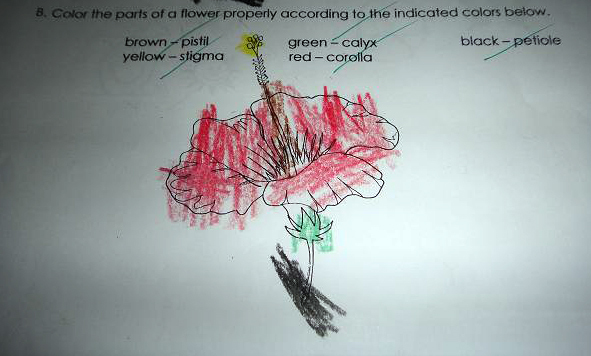 Maricel: Opo, Iya sabihin mo nga yung parts of the flower. Lima yun di ba? Me: Ok ah nareview ako. I was stunned. I got up and flipped through her science book. 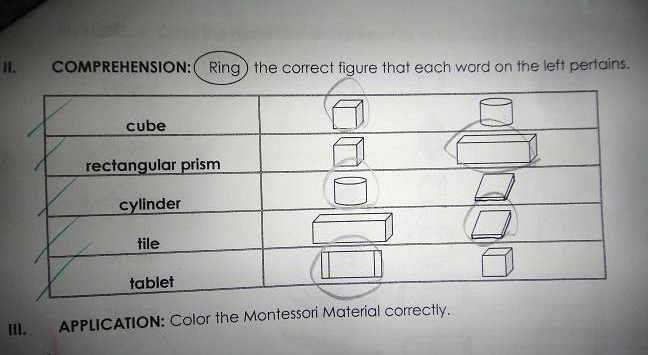 Goodness these are things that they taught me when I was in third grade! This is way more than I expected. Aren’t they supposed to take things slow? Now I really understand what my cousin was telling me about competitiveness in school. I really am worried of burnout. 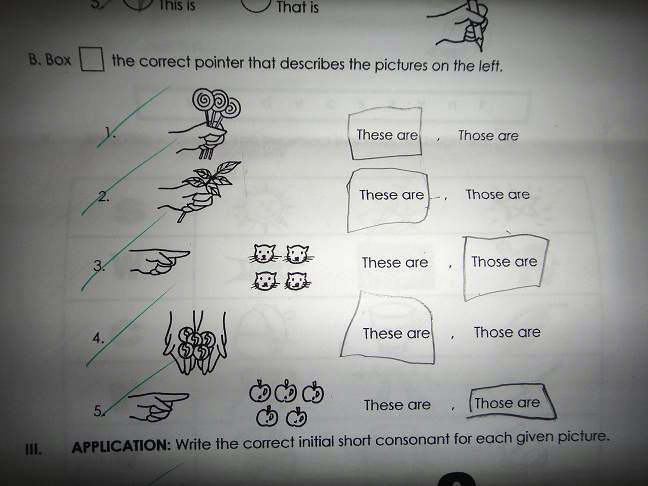 Here are parts of Iya’s exam. 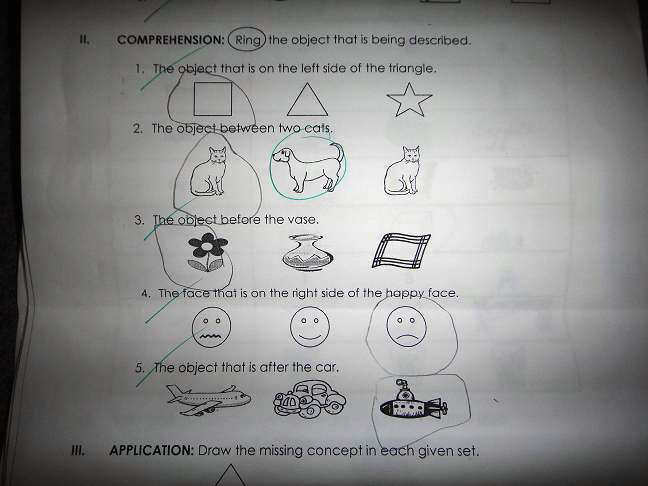 The exam results are not perfect but I am just illustrating how freaky the topics are. Parts of the flower. I don’t even remember this anymore. This is a cute way to ask the needs of the plant. This is the only acceptable part of the exam. 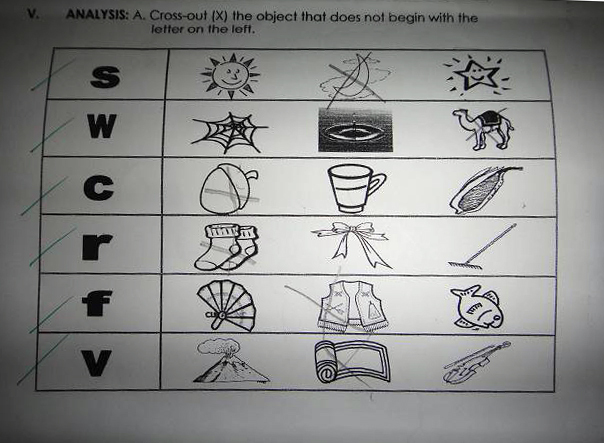 To cross out the word that does not start with the letter on the left side of the table. 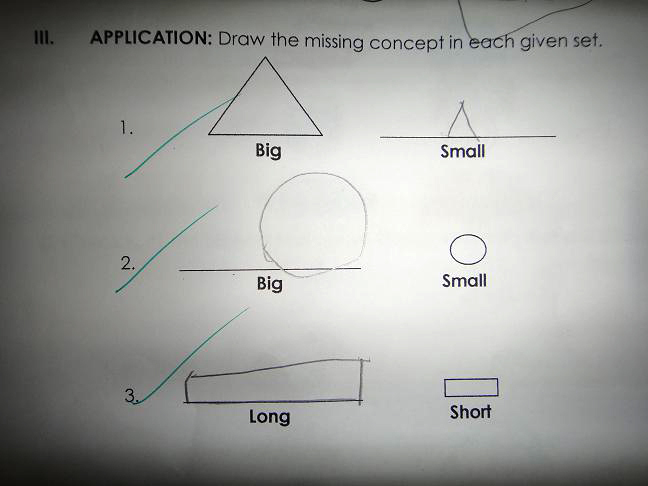 I shudder to think what they would teach her in grade school! And all this exercise did not go unrewarded. One night I received a text from Iya’s teacher that she was one of the honor students. I was surprised so I really went to see if it’s true. Apparently it is..
hahaha i hope not! but I am looking forward to relearning applied chemistry with her in the distant future.